Isobar Commerce a market-leading commerce practice within Isobar, a global digital marketing agency, announced today that it has achieved Magento Global Elite Partner status, the most exclusive and prestigious designation within the company’s global partner ecosystem. 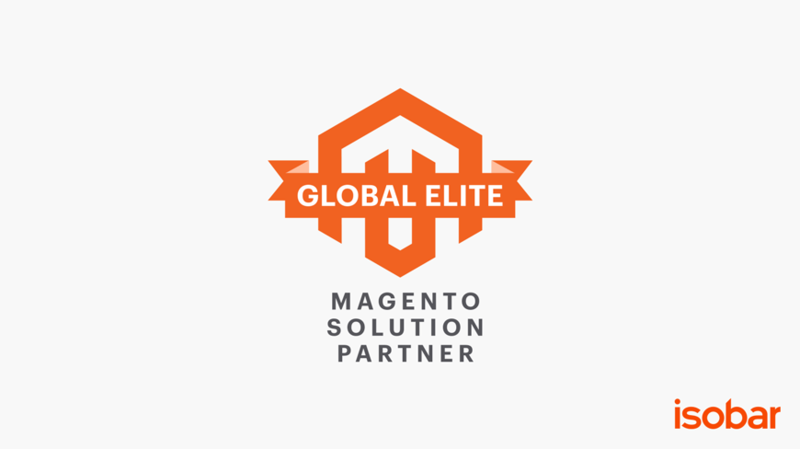 The Magento Global Elite tier is reserved for partners with global sales and service capabilities who have demonstrated excellence selling, delivering and supporting Magento Commerce Cloud with high customer satisfaction. “As a global Magento and Adobe solution partner, Isobar is well positioned to help businesses deliver personalized experiences that delight customers and increase loyalty. We are honoured to have been selected as a Magento Global Elite partner and we look forward to deeper collaboration with Adobe and Magento on the development and delivery of experience driven commerce.” commented Patrick Deloy, Managing Director, Isobar Commerce. Isobar Commerce has a proven track record of delivering on large and complex Magento Commerce Cloud project implementations. Isobar is the only agency to be awarded as Global Commercial Partner of the Year in 2018, and is the recipient of awards celebrating its APAC regional strength in 2014, 2015, 2016 and 2018. In addition, the company has Magento expertise based out of one of its European centres of excellence in Switzerland. Isobar Commerce supports medium-to-large B2C and B2B companies with the planning, development, localization and long-term support of multi-country Magento and e-commerce website deployments for clients including Nestle, Central Group, Midea, BenQ, and Decathlon, among others. Isobar Commerce groups together more than 1,000 commerce specialists across Isobar’s network of 45 markets. This development supports Isobar’s Brand Commerce strategy, utilising the agencies data, customer experience and technology expertise to create seamless experiences that deliver measurable commercial success.